The holidays are over and it’s now time to start collecting invoices and receipts as that first step toward tax filing. It’s not always the most fun task, unless of course, you’re finding ways to save money for your business. That is what we’ve set out to do—help you find money for your business. Here is a list of the top 18 small business tax deductions you don’t want to miss this tax season. 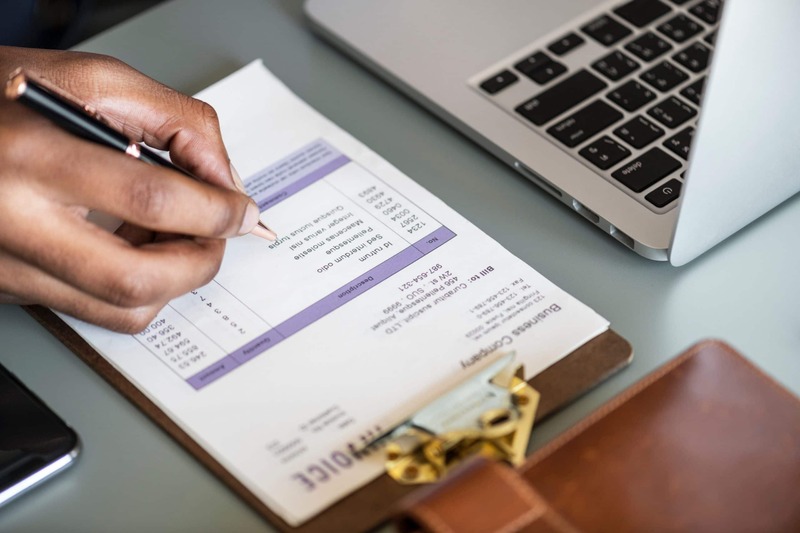 Rather than depreciating your Point-of-Sale (POS) software like in years past, you can now deduct the full cost of your business software. Calculate your vehicle expenses using the standard mileage deduction ($.545 in 2018), or by the actual cost of things like gas, oil changes, maintenance and repairs, tires, registration, license, insurance, parking fees, etc. You can claim the standard meal deduction or use the 50% rule where 50% of your meal is deductible. Entertainment also uses the 50% rule where you can write off customer appreciation things like sporting events, concerts, parking fees etc. If you work from home, you must have a dedicated office space. When you calculate your deduction it will be related to a percentage of your home that is used. If you hire a professional consultant, attorney, accountant, etc. to provide services to your business, this counts toward small business tax deductions. Deduct wages paid to part-time and full-time employees. You can also deduct employee meals, lodging, employer paid taxes, and payroll software. If you have sales people working on commission, those payments are tax-deductible as well. Did you hire freelancers or contract someone to work for you for a period of time? If they made more than $600, you can ask them to fill out a 1099, and you can deduct your costs. Employee benefits are tax deductible. Keep track of all employees’ health plans, life insurance, pensions, profit sharing, education reimbursement programs, etc. You can deduct any business supplies and office expenses that were used in the year purchased. Did you purchase new furniture or equipment for your business? You can depreciate the purchase over a seven-year period or deduct the entire cost for the year it was purchased. You can also deduct any equipment rented. These are great small business tax deductions. Do you lease your building? Make sure you deduct your rent. If you have a home office, don’t forget to deduct a percentage of your utilities, Internet service, and phone bill. If you take out a business line of credit, don’t forget to deduct the interest. It’s tax deductible! This includes your business mortgage as well! Insurance premiums on your business are all tax-deductible. This can equate to quite a bit of funds. The good news is it’s all tax deductible. Did you go to any seminars or pay for webinars? Continuing your education in your business is important, and it’s all tax deductible. If you donated to any charitable organizations, you can also deduct those donations. Most legal fees are deductible like franchise or trademark fees, business licenses, etc. You can also deduct credit card processing fees, magazine subscriptions and more. Talk to your tax consultant about what are considered small business tax deductions. Looking to upgrade your POS system so you can get that tax reduction for next year? Give Bepoz a call to set up a free demo today!